Regularly Handles Guardianship, Powers of Attorney, Wills and Estate Planning, Trusts (including Special Needs Trusts) and Probate matters in Western North Carolina. Recipient of the ‘William L. Thorp ProBono Award’ which is a statewide Award honoring a North Carolina attorney for their Pro Bono commitment. 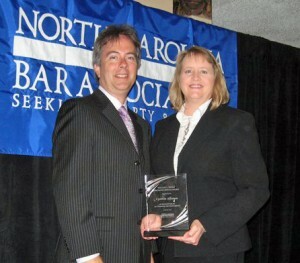 Given by the North Carolina Bar Association at their Annual Meeting June 23-27th 2010. Please click here to view Ms. Alleman’s Community Involvement.